As a graduate student studying publishing, I have the unique job of balancing my writing life with my editing life. I knew from the start this would be a challenge. Starting last fall when I entered my Master’s program, my writing life definitely slowed down. As I took Book Editing and worked in my program’s student-run publishing house, Ooligan Press, I found myself constantly wondering how I could care about my own writing while at the same time caring about another author’s writing. I believe this is the biggest challenge the writer/editor faces because as writers we’re all inherently self-absorbed. We love what we create. But the editor (a good editor) must love what someone else has created. If you want a good example of someone who balances the writing/editing life seemingly perfectly, look no further than my current role model, Elissa Schappell. 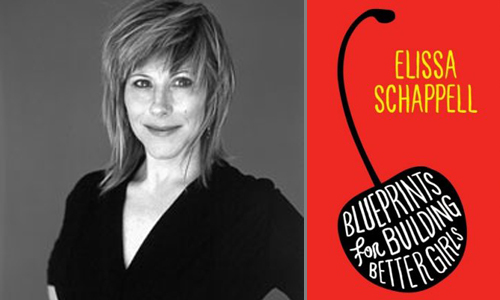 Schappell is a co-founder of the literary magazine Tin House, a contributing editor at Vanity Fair, and the author of two collections of short stories, including Blueprints for Building Better Girls. Finding time to write, learning discipline, and making strategies for my stories can be saved for another time or another post. What I want to talk about today is the moment I realized that I could in fact care about another author’s work just as much as my own. What I want to talk about now is the manuscript I have been working with for the last few months. I like to think of this manuscript as my adopted child, not my own creation but something I love as much as if it were my own. I can’t release too many of the manuscript’s details as all the legal stuff still needs to take place (signing contracts, etc.) before the manuscript officially belongs to Ooligan Press. What I can say is that as the former Acquisitions Manager at the press, I first saw this manuscript–a soldier’s memoir about his time before, during, and after fighting in Iraq–in our slush pile email. When I saw “soldier” and “memoir” together, I worried the manuscript would be a good story, but not a well-written one. I’ve never been happier to be wrong. The dramatic and captivating plot aside, the manuscript is thoughtful, funny, irreverent, and at times, quite poignant. Above all, it is honest. As is the press’s protocol, I assigned the manuscript out to readers, who returned it with glowing reviews. After passing through a few rounds of reviews and a department-wide vote, it was time for my co-manager and I to pitch the manuscript to the entire press. As a student-run press, Ooligan operates a bit differently than other presses. One or a few people don’t decide the fate of a manuscript; it belongs in the hands of the entire press. The acquisitions department must pitch the manuscript, and everyone else votes on whether we should publish the book. It’s all very democratic (and a wee bit time consuming with all the hoops the managers have to jump through to make sure the book is acquired). The pitch happened last Monday, smack dab in between the weekend I helped throw a bachelorette party and the weekend I was maid of honor at a wedding. Needless to say, I was very tired at the pitch. The room we pitched in was crowded and stuffy and my stomach ached with the nerves that come with public speaking. But then the moment occurred when I realized that the fate of this manuscript–this wonderful manuscript I had spent the last few months raving about to anyone who would listen–was in my hands and that I needed to get over my small nervousness for the sake of something bigger. My co-manager and I stumbled a bit through our pitch, probably talked too fast, probably said a few “Ums,” but I think we got the point across that this was a worthwhile book. At one point I stood on my imaginary soapbox and reminded my fellow editors that while above all a book is meant to entertain, it doesn’t hurt when the book has the potential to transcend that and help people. The manuscript was voted in unanimously. 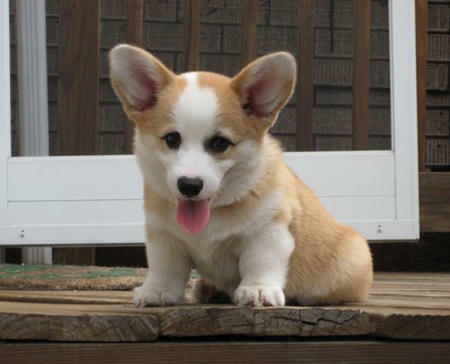 Nothing makes me as happy as a corgi puppy, but having the press unanimously accept the manuscript I had been scrutinizing for months made me pretty damn happy. It turned out I could obsess over, lose sleep over, and pour myself into someone else’s work. I didn’t just work with this manuscript; I built a whole relationship with it. If all goes according to plan, the book will hit shelves in the fall of 2013. I hope I have many more manuscripts to read, edit, and fight for in a long career as an editor. But I will always (fondly) remember this one as the first. It’s like a first love. Even after you’ve moved on and loved again, it remains a small, unchanged part of you.